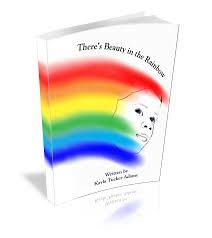 “There’s Beauty in the Rainbow” is a book for all children, written to inspire them to their full potential. Children need to know that in spite of it all, they can experience the richness of life. “There’s Beauty in the Rainbow” will build self-esteem, self-respect, and self-love in children so that they will have all the ingredients they need for a productive future. “There’s Beauty in the Rainbow” will empower boys and girls alike to love the skin they’re in and believe in themselves, regardless of what others may think or say. It will teach them to measure success by their own standards – not by the standards of others. “There’s Beauty in the Rainbow” is a powerful book that every child needs in their collection.